The city I live in is one of the premier tourist destinations in Canada. 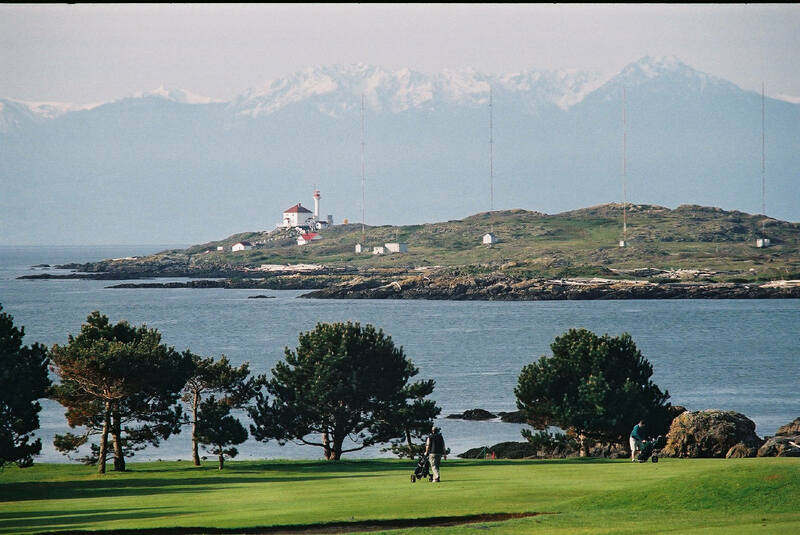 It’s a city known for gardens, ocean views, residential architecture, mild temperatures, and friendly people. Traffic, crime, noise, and pollution are all minimal here. And although I’ve lived here most of my adult life, it’s only been the last few months, that I’ve really gained a knowledge of where I live. While I used to drive or cycle virtually everywhere in the city, I’ve been spending much more time walking as a way to exercise and improve my health. Daily walking has become a passion and has led me to literally “take the road less travelled.” I’m addicted to it. And I’m amazed at the benefits it has had, not just for my health, but for my perspective and spirit. Slowing down, strolling, and meandering through my neighbourhood has revealed to me much of what I’ve been missing for many years. Not only have I been able to see beautiful gardens close-up, but I’ve been able to stop and talk with their gardeners. I’ve met more neighbours, their children, and their dogs and cats. I’ve learned more about renovations, financial troubles, family needs, and civic concerns. I’ve also found short-cuts, trails, paths, and back alleys that I didn’t use or know about previously. I’m travelling in the same area, but I’m seeing things I hadn’t seen before. I’m experiencing the importance of neighbourhood relationships in an urban area, which seems to be essential during a time in our history when many factors act to separate us as neighbours. Walking also facilitates communication. Almost everyone I walk by expresses some acknowledgement with a “hello,” “how’s it going?” or “lovely day” comment. Eye contact is common. And I even get a chance to learn how others see me. Some people that I say hello to when I’m walking by, return the recognition with, “Hello, sir.” I didn’t realize I had gotten that old yet to have the privilege of being called “sir.” Every now and then a conversation starts that goes beyond mere acknowledgement. As a cyclist I knew that I was already seeing, smelling, and experiencing things that driving in a car didn’t provide. But I didn’t realize what I was missing. Walking has allowed me to slow down and actually take in much more than I knew was there. I’m seeing things that I’ve always seen, yet I’m seeing them differently. Destination walking is a useful way to get to a specific location, and using it as a metaphor again, having a destination or goal can be an essential element of progress in coaching, mentoring, and peer assistance. I used to be an avid destination seeker. But sometimes having a goal interferes with exploring a detour and possibly discovering a treasure that is hidden in a less travelled lane. Destination walking often is associated with taking the shortest, quickest or easiest path. While I still take destination walks, I am no longer consumed by a focus on getting to the end; instead I’m ready for detours or travel down an unfamiliar route. The number of things I’ve discovered, and the satisfaction I’ve experienced during the journey in an unfamiliar neighbourhood have enriched my life. Since a common element of coaching, mentoring, and peer assistance is the focus on the practitioner and client (or partner) working together, walking seems to be a highly suitable way to travel. When I walk down avenues I have walked along many times before, I often see something new or something I hadn’t noticed before. And the landscape changes with the weather and the seasons, just as our “inner landscape” changes with our moods, or insights and growth. Going over familiar territory in coaching, mentoring or peer assistance sessions may lead to noticing some new aspect, focus, or perspective that did not surface previously. From what I’ve been reading about brain neurobiology, walking increases cohesion between the left and right hemisphere of the brain so that creativity and cognitive processes can better connect; the brain becomes more integrated and our ideas flow more freely. Walking allows us to stop and “smell the roses,” although in my neighbourhood, it’s more likely to also include “smell the tomatoes.” I hope you will be able to travel the road less travelled. Virtually anyone can benefit from having a mentor. And most well-known, accomplished and successful people can identify people in their lives who acted as mentors. The mentor pairings that are described in this post were identified from a variety of sources including autobiographies, biographies, newspaper articles, personal interviews, and diligent historical research. An extensive list of additional well-known mentor pairings, including those from TV, motion pictures and fiction, can be found on the Peer Resources website at www.mentors.ca/mentorpairs.html. In addition to the list of mentor pairs from the world of entertainment, business, creative arts, sports, politics, history, and science available in the Peer Resources listings, a few historical facts or humorous references to the term mentor are also included. Jazz trumpeters Donald Byrd and Miles Davis (1926-1991) were both mentors to jazz pianist and composer Herbie Hancock. Herbie’s first musical experiences, however, started with training in classical music. His talent was recognized as early as age seven, and when he was 11 he played with the Chicago Symphony. As a teenager he started listening to jazz recordings of Canadian Oscar Peterson, and he began to teach himself jazz composition. Surprisingly, when he entered college he began his studies as a physics major; but eventually switched to music. When Herbie Hancock met Donald Byrd, he complained to him that he was having difficulty composing his own jazz pieces. He didn’t want to just copy the stylings of those great pianists that he admired like George Shearing , Don Goldberg, McCoy Tyner, and Wynton Kelly. Herbie Hancock recalled the advice: “That’s when I wrote Watermelon Man (view on YouTube). That piece was based on the voice of a local watermelon vendor calling out in our neighbourhood. Became a best selling song. Mongo Santamaria, a conga player who found a way to blend Afro-Cuban and Afro-American music recorded Watermelon Man and made it a big hit all over Latin America in 1962. Herbie adds: “Miles could take bad music composed by a band member and make it great. He did the same for us as young musicians. He believed in our development and gave us the encouragement to grow. 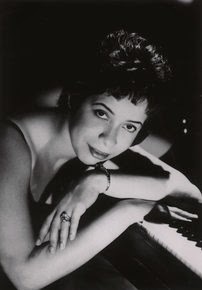 Shirley Horn (1934-2005) was another jazz pianist and vocalist mentored by Miles Davis. Ms. Horn began her musical life with the dream of becoming a classical pianist. But jazz clubs in her hometown of Washington, DC were the only places she could listen to other pianists eventhough she was underage. Her recognition by Miles Davis catapulted her career, partly because Miles Davis was notorious for hardly ever saying anything positive about anybody. Eventually she was nominated for nine Grammy Awards, was awarded the Jazz Masters Award from the National Endowment for the Arts, and peformed at The White House for several U.S. presidents. During Ms. Horn’s career she became a mentor to many women in the music business because of her ability to raise a family and actively perform. One of the people she mentored was singer Kendra Shank. 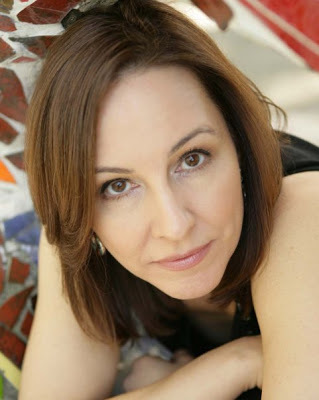 Ms. Shank (www.kendrashank.com) started as a folk singer during her college years and was influenced by the styles of Joan Baez, Joni Mitchell and James Taylor. Virtually anyone can benefit from having a mentor. And most well-known, accomplished and successful people can identify people in their lives who acted as mentors. The mentor pairings that are described in this section of the Peer Bulletin were identified from a variety of sources including autobiographies, biographies, newspaper articles, personal interviews, and diligent historical research. On many occasions we have featured the mentoring relationships of various well-known musicians, singers and songwriters. But behind almost every successful artists there is a producer or music business specialist who have played a significant role in identifying and developing the artist’s musical talent. Even these music business specialists attribute their own success in business to someone who took the time to mentor them. UK citizen Don Grierson, legendary Vice President of A&R at Epic, Capitol, and EMI, is directly responsible for signing and/or working with some of the world’s most noted artists including Celine Dion, Heart, Iron Maiden, Sheena Easton, Joe Cocker, Wasp, Bad English, Little River Band, George Clinton, J. Geils Band, Kate Bush, Gloria Estefan, The Jacksons, Duran Duran, Tina Turner, Queen, Indigo Girls, Spin Doctors, Alice Cooper, and many, many more. Don attributes much of his success to his mentor Jerry Moss, an American recording executive, best known for being the co-founder of A&M Records (he is the “M” in A&M Records). A frequently voiced, but often not discussed concern of formal mentoring programs, is the issue of “chemistry.” This somewhat intangible concept, typically described as the way a mentor and partner get along with each other, is based on what is almost always an ingredient in informal mentoring relationships. It may in fact be the primary element that attracts people to each other in informal mentoring. This assumption (that there must be chemistry) is natural because it is based on observations of or experience with informal mentoring. But while chemistry might be useful for faster relationship development in formal mentoring, it is not a necessary condition for the success of a formal pairing. 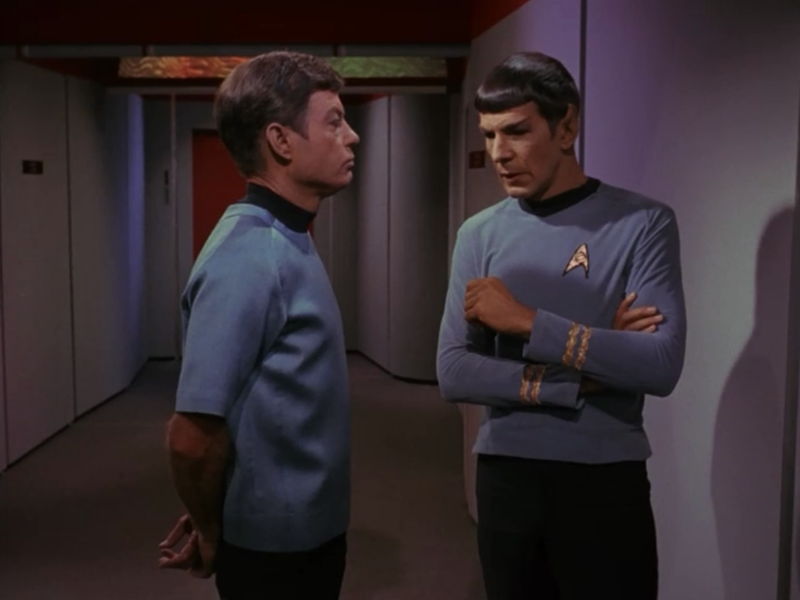 Instead, what is necessary is a demonstration of mutual respect. The three key areas that are essential for the success of a formal mentoring relationship are: (1) setting goals; (2) establishing clear expectations; and (3) attending to and assessing the development of the relationship. Each one of these areas provides both the mentor and partner an opportunity to engage in and model the skills associated with the practice of mutual respect. The six-step exercise outlined below has been designed to demonstrate how to practice respectful interaction while accomplishing the task of establishing goals. It was also designed to help participants experience (a) how little time it actually takes to be an effective mentor (thus reducing the often expressed concern about the time required); and (b) how a mentor can be effective without being an “expert” (thus reducing the need to view mentors as “all-knowing” in their field). While this exercise is a role work activity, it is important that the participants select topics (goal statements, for example) that are real and not “hypothetical” or just made up for the purpose of the exercise. In addition, the language used in the activity is based on phrasing that I typically use and may not match what others might actually say. It’s perfectly okay to change the phrasing to fit individual preference as long as the intention of respectful dialogue can be clearly demonstrated. For the purpose of the activity, I recommend staying as close as possible to the dialogue as presented. At the end of the activity we can review other ways of being able to demonstrate respect using different phrasing. Step One – Find a Partner: Decide who will be the mentor and who will be the partner. Mentor: “How will you know when you’ve been successful or “outrageously successful”? Provocative, controversial, and energizing, Dr. Albert Ellis, the creator of Rational Emotive Behavior Therapy (REBT), died of natural causes at 93 years of age in New York City. Dr. Ellis was one of the most influential psychologists of the 20th century, and his work on cognitive psychology, action orientation, confronting irrational beliefs, the importance of emotional growth, and challenge to the prevailing dominance of psychoanalytic psychotherapy, gave rise to one of the foundations of what is today called cognitive coaching. “Three Approaches to Psychotherapy” was the most frequently viewed and widely-discussed movie about therapy. 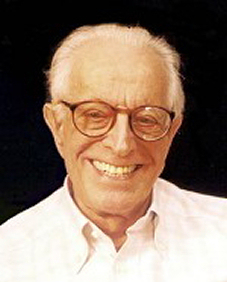 In the film, Albert Ellis (Rational-Emotive), Carl Rogers (Client-Centered) and Fritz Perls (Gestalt) took turns conducting therapy with the same patient: “Gloria.” At the end of the 36-minute film, the producer and director of the film, Everett Shostrom, interviewed Gloria about her experience of therapy with the three greats and rivals. As students we argued late into the night on many occasions about the therapists’ techniques and Gloria’s reactions. Dr. Ellis published over 54 books and 600 articles on REBT, and at the time of his death he was President Emeritus of the Albert Ellis Institute (formerly the Institute of Rational Living) in New York. 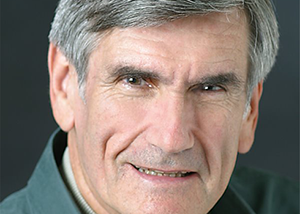 Marshall Rosenberg, founder of the Center for Nonviolent Communication, was a world renowned peacemaker, psychologist, educator and author. He dedicated his life to the study and practice of the conditions that bring about peace. He taught millions, through his books and talks, the skills of honest expression, empathy, naming feelings, and asking for what we need in order to enrich our lives. His early experience living in racially divided Detroit while he was training as a psychologist contributed to his developing a way to address conflict that emphasizes listening with empathy. He was also influenced in this direction by his association with the renowned psychologist Carl Rogers (1902-1987) who became his mentor, and asked him questions that were unanswerable at the time about how people can be loving and violent at the same time. The Greater Good Center at the University of California at Berkeley said, “Dr. Rosenberg’s passing is a great loss to those inspired by his embodied, practical approach to peacemaking. And yet his work lives on as an inheritance, one that we may discover, rediscover and invest in ourselves and in one another, sharing these instruments of harmony that were meant to be shared in a diverse, complex, and complicated world. I’m interested in learning that’s motivated by reverence for life, that’s motivated by a desire to learn skills, to learn new things that help us to better contribute to our own well-being and the well-being of others. And what fills me with great sadness is any learning that I see motivated by coercion.